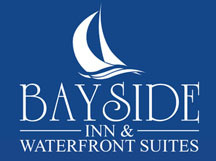 I am writing this review to show how much appreciation we have experienced through the hospitality at Bayside. They took very good care of us from the moment we checked-in. For the price we paid, we got a traditional hotel quality room that was complete with everything we needed during our stay. They lent us a hairdryer and an iron with iron board which was very convenient as we had to attend a wedding nearby.